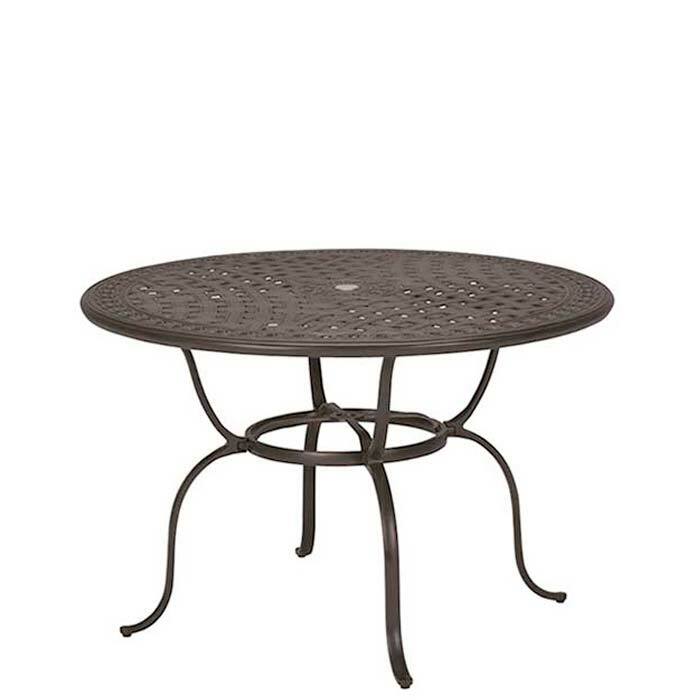 This custom-crafted, hand-cast aluminum round counter table adds elegance to any outdoor setting. Pair this outdoor table with a Basta Sole® patio umbrella for an aluminum patio furniture solution that is both gracious and highly functional. Featuring the exclusive Garden Terrace design, this 55" Round Cast Aluminum Counter Table is the best-looking, toughest counter table around.